Fun…it is not hard to have a good time in Spain. This country is set up for a good time, great wine, beer, cheese, olives, flamenco, sultry beaches, snow covered mountains, a culture that believes in working to live not live to work. To make all that partying easier you even get to take a siesta in the afternoon. Great people…Spaniards love to have a good time, they are easy to get along with, and make you feel very relaxed. Culture…rich in ancient traditions, Spain has many intricacies that make it unique among European countries, like there fascination with bullfighting, insistence on taking a siesta, or their spring fairs. History…boasting one of the oldest continuously inhabited cities in all of Europe (Cadiz) Spain’s history is as rich as a boat full of gold coming from the Americas. For the history aficionados and even those who are not there is something around every corner. Thought you had to go to Italy to see Roman Ruins, nope many Spanish cities have Romans ruins, from the town of Italica outside of Seville, to the aqueduct in Segovia. Romans were only one of many groups of people to inhabit this rich land. Beaches….beaches and more beaches. Spain is a peninsula with thousands of miles of coastline. Spain has been Europe’s summer destination for centuries. Come and see why. ..Whether its Malaga’s temperate climate situated on the Mediterranean Sea or dipping your toes in the Atlantic Ocean in Cadiz. Wine…not as well-known as maybe French or Italian wines, Spain’s wine industry has really grown in the last few decades. Try the Sherry from Jerez de la Frontera or Rioja from the Rioja region of Spain. Make sure you accompany either with some Spanish olives and cheese. Reasonable…many people rule out Europe in general because they feel you have to be rich to travel there. Not true, once in Spain, hotels, food, trains, tours are all very reasonable. Done right Spain can be an affordable vacation. Planes…for most getting to Spain will be accomplished through a major airline carrier. Spain has multiple modern airports to get you to your final destination. Trains...you can get to Spain by train but only by first traveling to either France or Portugal. Buses…again you can travel to Spain via a bus but it will only be through France or Portugal. Cruises…do it the old fashioned way and take a cruise to Spain. Many American cities have cruises to Spain as do other European countries. Combine cruise and Plane travel, fly to Barcelona and take a cruise down the coast. Trains…my favorite way to travel in Spain. Spain has around 9500 miles of track to get you were you want to go. Among the Spanish fleet of trains is the Ave or high speed train making train travel in many cases faster than plane travel. One last note on train travel in Spain, it is clean, safe, on time and very comfortable. Metro…many Spanish cities now have a metro to get you across town in a jiffy. Madrid has one of the best metro systems I have ever been on. It is cheap, safe, and extensive. Buses…every city in Spain has a great bus system, do not hesitate to try them out. You can either buy a bus pass at a street kiosk or pay when you get on the bus. I often will use the bus as my own personal tour, what better way to get to see a city and learn about its people than through the everyday travel of their buses. Tour buses…a convenient way to get out of the big cities and see some local destinations. Like any big bus these tour buses offer guided tours in an air conditioned environment. Rental car…sometimes you just have to go it alone and nothing gets you there like your own car. I have to say as much as I like Spain’s public transportation system sometimes there is no other way to get out into the country side than with a car. One side note on cars…most rentals cars are not automatics, while available they are not common. Bike…why not, Polly Evans author of “It’s Not About the Tapas” cycled across Spain and recorded her travels in the previously mentioned book. What better way to experience the Spanish country side than through a slower form of transportation. 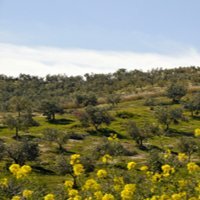 My whole website it dedicated on what to see in Spain but below are some of the highlights for Southern Spain. The Alhambra…the Moorish Palace until 1492 is well preserved and spectacular so much so that tickets should be bought in advance. Seville’s Cathedral…the world’s largest gothic cathedral, supposed resting place of Christopher Columbus, and attached Giralda tower are a most see in southern Spain travels. Ronda’s Gorge…it doesn’t sound like much but this little town with a gorge that splits it in two is one of my favorite cities in Spain. Its small town feel, beautiful sites, and historical bull ring are a must see. Cadiz beaches…a great way to break from a whirlwind Spanish tour, Cadiz is a short train ride from Seville and can easily be done in a day. It could easily be its own destination with its ancient history and relaxing beaches. Malaga beaches…some of the best in all of Spain, Malaga boast some of the most moderate temperatures in all of Europe. The city of Malaga itself has many attractions making this city worth a visit. The Mezquita in Cordoba…a well preserved mosque with a 16th century cathedral inside. This majestic building is the main attraction in Cordoba along with the Alcazar, Roman Bridge, and Baños Califales. Below are the essentials of what to bring to Spain. Passport…check your country’s consulate to see if a Visa is required. Euros…If you are not from Europe or not on the Euro it is a good idea to get some Euros before you go for convenience. You can always use an atm to get more but it is one less thing to worry about when you get off the plane. Camera…your spending the money to visit Spain, make the memories last with pictures. My camera tip, take lots of photos even if you don’t know what you are doing you are bound to get lucky a couple of times. Security Wallet…while Spain is an extremely safe caution is required with your personal belongings. A security wallet is great idea to protect your passport, license, majority of your cash, and credit cards. 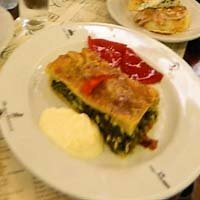 Spain travel overview guide…while you do look like a dork looking at your travel book it will save you lots of time by guiding you to the highlights of a town and also suggesting best places to eat and how to get there. Smaller Luggage…most of us have the tendency to err on the side of caution and over back. I would highly recommend using some sort of check list to help narrow down the essentials. Also remember that Spain is a developed country and you can get just about anything you need at El Corte Ingles. Good walking shoes…although nothing screams tourist like white tennis shoes, good walking shoes are essential. My best advise if you want to blend in and be comfortable is wear comfortable walking shoes just don’t be that guy with the knee high socks or worse sandals and socks, cargo shorts, camera around the neck, and baseball cap. Spanish English Dictionary…while many Spaniards speak some English and certainly your hotel concierges certainly will, it is a good idea to bring a Spanish English dictionary. My tip is any attempt to speak Spanish will go a long way with the locals. Remember they’ll feel less embarrassed to use their not so perfect English than try to understand your bad Spanish. Good attitude…Spain is an adventure, treat it like one. I go to Spain with a mission to have a good time, meaning I make it a priority not to get upset, frustrated, or pessimistic…tranquilo (relax) you are in Spain hombre. There is almost nothing you can buy in Spain that you can’t get at home, but there are a few things that Spain is known for and are worth buying. Leather…my brother still asked me to bring him home a leather wallet every time I go to Spain. Just make sure what you are buying is indeed made in Spain “hecho en Espana”. Shoes…my wife and I find that Spain has a better variety of stylish shoes than the U.S. and we will often get a pair or two. Not to mention shoes last a long time and will remind you of your good time in Spain while actually being a practical purchase. 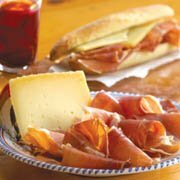 Cheese…While I found out the hard way you can’t bring Jamon Serrano (Spanish ham) back to the U.S. cheese is ok.
Wine…you can usually find most Spanish wines in your home country it is possible to bring back a bottle or two to savor your Spain experience. Olive Oil…I almost recommend this over wine as it seems the quality you get in Spain cannot be matched in the U.S. or other countries. Art…I often will buy art from a street painter to remember my trip. What better way to remember your trip than through a piece of art not to mention you are helping to support the arts in Spain. If you are from a developed country like the U.S., Canada, or the U.K. there are some things you shouldn’t waste your time shopping for. Clothes…I find clothes are more expensive in Spain and are similar styles to the U.S.
Pottery…while it is cheap and of excellent quality it is hell getting it home in one piece. Meat…definitely can’t bring meat back to your home country as the passport agent in New York informed me. 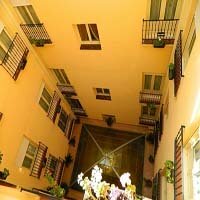 I hope this Spain travel overview helped you get your feet wet and see what this type of vacation is all about.